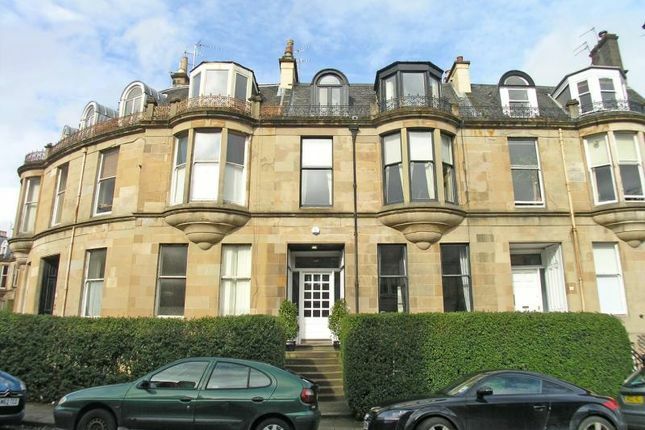 A substantial, yet beautifully balanced 10 apartment four storey townhouse in a prime section of Dowanhill literally a 'stone's throw' from the countless amenities on Byres Road and Great Western Road. Built circa 1803, Grosvenor Crescent is an elevated serpentine terrace of grand blonde sandstone townhouses with fanciful bowed oriels on the first floor. The interior has an excellent blend of stunning original features and practical modern finishes and is in excellent decorative order throughout. The lower ground floor has an excellent flow with the sitting room leading through to the large fully fitted kitchen and the first floor is delightful and includes an amazing master bedroom and a superb dressing room with the added benefit of an impressive en suite shower room. Externally the house has the advantage of an elevated private main door entrance and a private garden to the rear. The present owners have thoughtfully and carefully improved the house and we would highlight just a few of their clever alterations which include the creation of the amazing dining kitchen/family TV room, opening up the wall between the ground floor lounge and formal dining room and the creation of a stunning 'master suite' on the 1st floor.